With this new relationship, Whirlpool brand's innovative lines of kitchen and laundry products such as refrigerators, dishwashers, ovens, cooktops, microwave ovens, clothes washers and clothes dryers will now have a presence in select Disney Vacation Club Villas at Walt Disney World Resort and Disneyland Resort. One bedroom or larger accommodations at Disney Vacation Club properties include full kitchens as well as clothes washers and dryers that help members feel at home while they experience a Disney vacation. "As a leader in their industry, Whirlpool is a household name that has been helping consumers care for their families for over a century," said Carlos Castro, vice president of Disney Corporate Alliances. 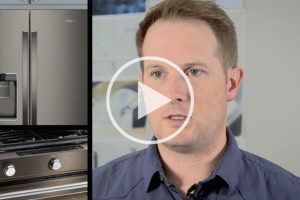 "Introducing Whirlpool's thoughtfully designed appliances into our Disney Vacation Club properties will give Guests the perfect opportunity to experience Whirlpool products first-hand." In addition, Whirlpool will align with Disney Digital Network to create exciting custom food and cooking based content throughout Disney's family of digital networks. 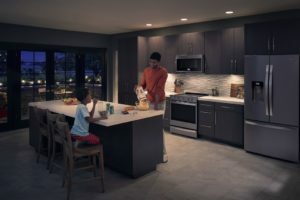 "As one of the world's most beloved brands, Disney offers the perfect platform for our leading brands to better connect with consumers across the country," said Rob Sundy, senior director of brands for Whirlpool Corporation, North American Region. "We look forward to bringing our purposeful innovation to these iconic Disney destinations."